A main feature of Klaas Gubbels is his aversion to aesthetics. He avoids anything that is 'beautiful'. Beauty for him is unreal and takes us away from the truth. However he has built an entirely individual value system with its angular shapes and unruly colors, his work has its own aesthetics. It is very different from the mainstream and it is subject to mood. He uses the issue as a mean; it's no longer a table or a coffeepot, but it becomes poetry, humor, aggression or boredom. 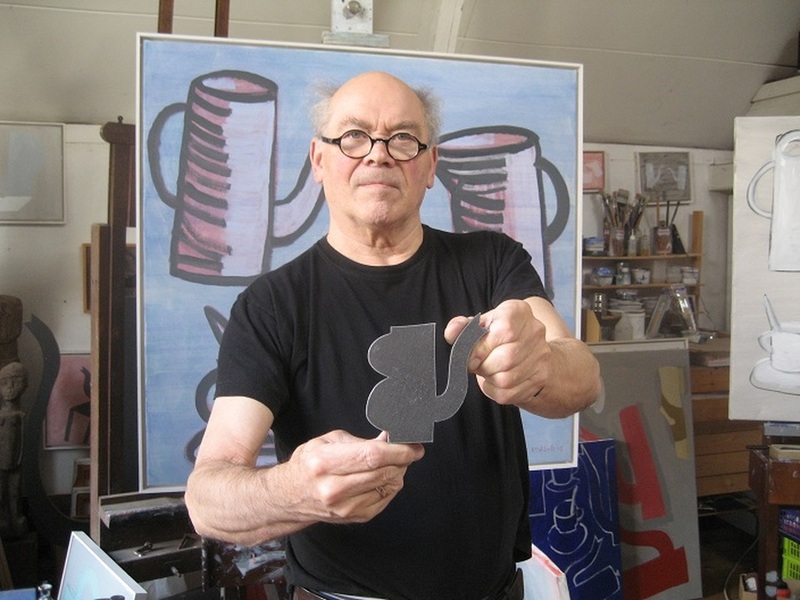 Table, coffee, chair or pipe are the main motives of the sculptures, paintings and graphic sheets of Klaas Gubbels. He renews himself constantly within the limits of the chosen themes. Work of Klaas Gubbels is included in many museam collections.